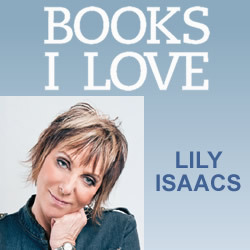 Lily Isaacs’ life journey has included many joyful moments, but also times of heartache and health challenges. Here, she shares three stories which have spurred her on and inspired her walk. I have always loved to read. I believe that reading really exercises the brain and helps expand our imagination beyond our wildest dreams. So many times we fantasize about what the characters in a book look like or the scenes they paint with elaborate words. I must say it is one of my most enjoyable hobbies. I started writing my autobiography several years ago. I have lived such a full life. God has brought me through so many amazing milestones. I had to dig deep down into the very secrets of my heart and verbally speak out my experiences and private emotions. It was and continues to be therapy for me. I’m still working on my own book and have hopes of being picked up by a publisher some day soon. However, my taste in reading was sort of altered; I started being interested in other people’s stories. I was interested in their style of writing and how they expressed their hearts. The fact that so many people can survive through life’s unfair circumstances has always fascinated me. I’d like to share some of these books with you. They actually come from three different walks of life. The first book changed my life! It is The Seamstress, A Memoir of Survival, written by Sara Tuval Bernstein (the heroine’s daughter). This is the true story of a young girl, Seren Tuval. She was a Jewish girl who grew up in Romania. 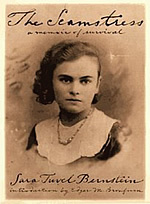 During the war she was imprisoned in Ravensbruck concentration camp. It all started in the early 1940s at the very beginning of World War II. She actually kept a diary of her daily challenges in the camp. My heart would ache when I read about the torture she went through and how strong she was to survive it all. Her voice in this book is so real. You get inside her head and feel everything, everyday! She did of course survive this nightmare, and I felt like I knew her after reading this book. I would love to have met this brave woman. I do have a special interest in this subject, because my mother and father both are Holocaust survivors. This is a must read! It seriously changed my life! 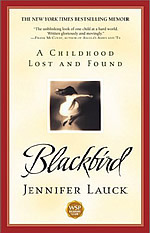 The second book is Blackbird: A Childhood Lost and Found, by Jennifer Lauck. It is the true account of a young girl, Jennifer, and her amazing story of survival. At the age of 6, she was forced to face her cruel life head on! What I love about this book is that Jennifer’s style of writing is her voice at 6 years old. Seeing the circumstances through a child’s heart had me spellbound! She lost her mother at a young age and wound up with an uncaring father and stepmother. She and her brother were basically put out on the streets and wound up in several homes. Her story of survival is very heart-wrenching! It certainly reminds us that though many children get lost in our system, somehow their inner strength carries them through to survive. 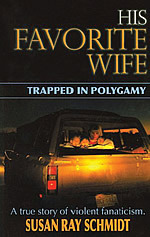 The last book is His Favorite Wife by Susan Ray Schmidt. One day in April 2008, as I was watching the news I saw the most horrifying news alert. There was a raid in Eldorado, Texas, and 439 women and children were taken out of a compound. This place was called “Yearning for Zion Ranch” from the church organization called the Fundamental Latter Day Saints Church. I guess I never realized that this type of human behavior still existed in America, in the 21st century! It really aroused my curiosity. So I began to research some of the books written by the victims of this cult. His Favorite Wife was my first introduction to this subject. Susan was forced into marriage at the age of 14. These young women are conditioned to want this type of life. They are taught from birth that this is their reason for existence — God placed them on earth to become a wife and reproduce many children. Susan married a man, Verlan, who was the brother of the prophet in their sect. He was in his 50s. They had five children before she was 20 years old. He already had four wives when he and Susan married and added another girl after she joined the family. Susan goes into detail about their rocky marriage and her struggle with jealousy and the poverty she had to endure. Verlan couldn’t support all his wives and children, so he moved them into unfit housing conditions with barely any food and segregated them from the world. They were helpless. He made them very dependent upon him, barely giving them any of his time. I was so mesmerized by this story. Just to think that this sort of lifestyle still exists was shocking to me. Susan portrays a beautiful intimate story of survival and ultimately, her escape with her children. She is a strong woman. These three books are examples of how people from all walks of life can survive the odds and become productive and prosperous individuals. It helps me keep my life in check! I may complain sometimes but all in all, I’ve had a really blessed life! Enjoy!